Most of us don’t think about converting our books to ebooks until after they’re completed and ready for publication. In this article, Jeff Bach explains how we can view them before they’re ready to be published and why we might want to think about doing that. I stumbled across this article, Smartphones: The Next Home of the Ebook? here on The Book Designer site discussing the potential of smart phones as ereaders. This led me to wonder about uploading and viewing my current work in progress on a smart phone (an old HTC Evo) and my iPad, as well as viewing it in a Firefox epub reader on my laptop browser. I was interested in checking my work and making sure cover images, internal images, table of contents and fonts were reasonably behaving across a range of mobile devices. It turned out that I was able to upload and read my work in progress on both smart phone and iPad. Overall, I found this process quite reasonable. When it comes to mobile devices, there are probably about 14,999 combinations of hardware, software, app version and OS versions. What I saw in my testing and described below may not be exactly what you see on your devices, but it should be conceptually in the same ball park. This is a pre-release exercise to evaluate how an epub file looks on mobile ereaders. I’m not expecting perfection, I just want to get an early first look at my epub file on mobile ereader apps, so I can fix any issues early on rather than finding something at the last minute. For me, an unexpected benefit of testing my epub file like this turned out to be that simply reading my words on a different screen in a different layout revealed typos and errors that I had repeatedly glossed over on my main laptop. Dropbox is a central part of this exercise. This is a free online service letting users upload a file once and then access that file from multiple other locations and devices. Dropbox is similar to ftp in the web development world, but more user friendly. In this test exercise, the main benefit of Dropbox is the ease of accessing the epub file in my online Dropbox folder from a smart phone and an iPad. On both phone and iPad, the Dropbox client proved easy to use and similar in appearance. I use Apache Open Office Writer as my main writing platform. When it’s time to produce an epub file I turn to the wonderful writer2epub extension that Luca Calcinai has written and released as an open source extension for Open Office. Once I have exported an epub file from my Open Office original file, I open that file in Sigil (version 0.7.3) and rework the epub file as needed. I think there’s a big mind shift that happens here as you go from a narrowly scoped writing effort (e.g. in Open Office) to a more widely scoped authoring effort (e.g. in Sigil for epub) with a more equal emphasis on writing and layout. The big writing packages handle the layout as you write. Epub, on the other hand, is all about html, which lacks any built in rules for layout. You have to add that layer yourself (aka CSS). I think Sigil does a fine job with their supplied CSS. I find constructing the table of contents to be a particularly great part of Sigil. Another issue I now appreciate is cover images. They can be tricky, particularly with iBooks/iPads. I thought that gave me enough to evaluate the look and feel of my epub on my phone and iPad and several ereader apps. Beyond that list of topics I just read through my ebook on each of the ereader apps and on both phone and iPad and tried to be aware of unexpected issues if/when I encountered them. Signup with Dropbox and then go to the app stores and download the free Dropbox client on your smart phone and on your tablet. In my case, this was on my HP laptop, an HTC Evo, and an iPad. I found creating an account and installing Dropbox to be pretty standard. Go to Apple’s app store on your iPad and install the iBook app. On your main laptop install the EPUBReader extension (version 1.4.2.4) within your Firefox web browser. Each of the ereader apps allows you to view your epub file as a local file on your smart phone, iPad and browser. This viewing is a private local affair with no uploading to third party public stores, no validation requirements, etc. You are not publishing anything. You are privately and locally viewing your work on the above reading devices, courtesy of your private Dropbox folder. If you have an iPhone in lieu of an Android, conceptually your work flow is the same, but you will need to go through the specifics of the iPhone app download/install. Go back to your laptop. Login to the Dropbox website. With the file uploaded, you can now leave your laptop behind and go to your phone. On the phone, single tap on the Dropbox icon to open the Dropbox client. The file you uploaded at the beginning over on your laptop is now visible within the Dropbox cloud viewed from the phone Dropbox client. Another single tap on the target file within the phone Dropbox client gets you a dialog box asking which of the installed ereaders you want to use to start reading the file. You need to go through this process for each of the ereader apps you want to use. All but one of the ereader apps behaved the same way in this step. So far I have not been able to get Kobo to appear in that dialog box list seen in Figure 4. For the Kobo reader I hunt around within the Kobo menu and use the search option to find a copy of my epub file and import that into Kobo’s library. A simple single tap on the ereader app you choose in the dialog box seen in Figure 4 is all you need to open and start reading your epub file in your phone ereader. The ereader apps I used all offered the same basic choices, with minor differences between the four. Twenty minutes of messing around on your phone will have you up to speed on the basics of each ereader. Google searches offer up an array of helpful answers to navigate the feature set of each ereader app. Your mileage may vary and of course you are free to use others of the many good ereaders available. The whole point of this exercise is to see how ereader apps handle your epub file, prior to publishing your book and having readers alert you to the surprises they find in your epub file after it is published. Within Sigil, be sure the picture is named “cover.jpg” in both the code and the browser window. Right click on the image in the Sigil file browser and open the “Add Semantics” option and mark the image as a cover image. Add a line in the meta section of the content.opf file to get the cover image to show on the iBook shelf. Easier to view the image below than to try and describe in text. Keep clicking the green arrow (top right of the UI) until your file perfectly validates. The most valuable thing I discovered was that the same epub file with the same exact cover image appeared differently in the Aldiko app relative to the Moon+, Cool, and Kobo readers. This was immensely frustrating but valuable, because at least I now know that my cover image works on three mobile readers and not on the other. To my eye, the cover image looks good in Moon+, Cool, and Kobo readers while Aldiko shows the cover image in a “zoomed in” fashion. I suspect that image dimensions are in play here and that CSS is also involved. I found that Aldiko appears to be based on Adobe DRM technology. At this point I can only speculate that it handles images differently relative to Moon+, Cool, and Kobo. The Moon+, Cool, and Kobo readers are not based on the Adobe technology as far as I can tell. Tech support emails eventually yielded Aldiko responses blaming me for using the wrong image and offering no suggestions. I still have not found any advice on optimum cover image dimensions or image best practices, so I have no firm answer as I write this article. Each ereader comes with its own default CSS. Each ereader also has menu options that turn external CSS off and on. Playing with these settings and evaluating how each setting affects your epub reader is valuable experience. Other than image frustrations, Aldiko, Kobo, Cool, and Moon+ worked very well with actually reading the text of my epub. The default fonts, font sizes, page justification, and backlighting all worked quite well for my eye. The table of contents in all the readers appeared as expected. At this stage I’m happy, although I am left wondering about the state of Aldiko’s image display. If your book has images and you want to support mobile readers, then early testing of your epub file could be well worth your time. Uploading and checking the epub file tends to be an iterative process. Remember that old scientific method from high school? Maybe it was college. It has not changed since then and continues to suggest making one change at a time and then evaluating that change in a new version. Each time I make a new version I like to add/update the time in the file name. As I am testing and making new versions, once I upload the epub from my laptop Dropbox client to the Dropbox cloud, it is a simple check to look at the time stamp in the file name and verify that I am looking at the most recent version of my epub file. I thought this simple step proved to be the most important in my evaluating. Once I start to make changes, it is easy to forget if I have uploaded the latest version or not. Adding the timestamp into the file name makes it easy to check the version on my laptop against the version in the Dropbox cloud. It is also worth noting that in Windows Explorer on my laptop I like to have the Date Modified column displayed and not the Date column. Right click on the column headings in Windows Explorer and you’ll see what I mean. I may be suspicious, but I think deleting the current file from both device ereader and Dropbox prior to uploading the fresh file is an important part of the process. I start with removing the local epub file from each of the ereaders. You will need to remove the local file in each ereader you have used. Once the local epub files are removed from within each reader app, I then go to the Dropbox client on my phone or iPad and remove the file from the Dropbox cloud. Although in this article I describe the iPad separately, when I test I am going back and forth between phone ereader apps and the iPad iBook app concurrently. With the epub file in the Dropbox cloud, I single tap to open the Dropbox client on my iPad. Select from the displayed list of files or search for the file. Single tap on the file name that you want to read in iBook. The file downloads and displays a “couldn’t load file” message. THAT IS OK.
After seeing this message all you have to do is go to the upper right corner of the iPad screen and tap on the right-most icon with the downward swooping arrow. That tap reveals a list of the iPad apps capable of reading an epub file. “iBooks” is one of the listed options. Tap iBooks once and voila, your epub opens within iBooks ready to go. Removing the local file from iBooks is similar to the ereaders. I also like to view the epub file within a web browser. I use Firefox and a Firefox extension simply called EPUBReader. Installation is a snap. To open the epub file using EPUBREADER, I just drag and drop the epub file onto the Firefox icon on my desktop. Adobe Digital Editions (ADE) is mentioned by many in the epub testing space. I did download and use it a bit. It is a quick install and a quick test. Like Aldiko, and likely for similar reasons, it broke on the same images in the same file that looked good on all my other testing apps and devices. Other than the image issue, it does seems to work OK as a testing preview device for text-centric issues. For me, it did nothing that other pieces of my testing workflow weren’t already doing better. For all the attention that epub is getting, looking good in Amazon and on Amazon devices remains paramount. So I think the Kindle Previewer deserves a shout out. When I started in 2009, everything was done manually via the KDP interface in a web browser. Flash forward to January 2014 and downloading, installing and using the Kindle Previewer was a huge change for me relative to earlier methods. The Kindle Previewer took my very same epub file I was testing with elsewhere, converted it (including large color images) and offered me a choice of three different simulated Kindle devices to view the converted file. Very easy to use. I think every indie author should download and use the Kindle Previewer. I think it is well worth using to evaluate your file and how well in converts to the mobi format. Please note that I still adhere to the image size limit of 127kb. I did not use iTunes in this testing process, mainly because I use an Android phone and not an iPhone. Downloading my file via Dropbox was effectively an end around using iTunes. Working in iTunes is certainly another possible route to go when testing local files. My experience with the Aldiko reader app left a bad taste in my mouth. It frustrates me that Aldiko, so far, seems to break on the very same images that Kobo, Cool, Moon+, iBook and EPUBREADER all seem to handle quite well. I remain shocked that I have been unable to find any image best practice recommendations from either Aldiko or Adobe. At this point I cannot find a fix and am left wondering what to do, other than recommend the other reader apps. On the upside, if your book contains few images, then you may not have any issues. I thought Aldiko handled text just fine. Before you believe me completely and give up on Aldiko, do try one setting that might change things a bit. Get to the bottom bar menu and tap the “Tt” icon. Look for the “Advanced formatting” checkbox. Clear it or fill it and evaluate your images after each change. It looks to me like this turns external CSS on and off. Remember – change one thing at a time and observe the results. I found ereader apps on a smart phone to be pretty reasonable overall. Not quite consistent, but still quite usable. The issues I noticed are likely related to CSS. One reader app turns on external CSS by default while another reader app uses its own CSS by default. The setting for turning external CSS off and on was buried in different locations and called different names within each app. I thought the bottom line was OK though, with each reader I could find the setting and turn it on/off and get the page to look like I wanted. If your ebook is fiction containing few images, I think you should expect fairly smooth sailing regardless of which reader app is used to view your epub file. Amazon still remains the most important spot for my ebooks. Using the Kindle Previewer as part of this evaluating process gives me confidence that my ebook is meeting Amazon’s requirements. My personal favorite ereader app is a tie between the Moon+ reader, and the Cool reader. I liked the parchment background of the Cool reader. Kobo did everything right once I had the file imported. It just didn’t behave like the other reader apps, but Kobo did display text and images just fine. Aldiko broke on the images I used. It broke on the same exact file that worked everywhere else with regard to cover images and images within the chapters. It did handle text well, as you would expect. I enjoy writing. I also enjoy this dawning era of control for indie authors and self publishers. As mobile devices proliferate, people are increasingly using them to read. I think this is an opportunity for authors. Evaluating your work as an epub file on the devices and apps your readers are likely to be using should be fairly important to every author. Evaluating your epub file early on in your writing phase can help you spot problems. I think knowing that your ebook looks good and performs well on a smart phone and the many reader apps that people can use on those phones is well worth investing some of your time! JJ Bach owns Quietwater Media, a content creation firm in Stoughton, WI. In his offtime he is an author and is also seeing an uptick in producing ebooks for clients’ marketing efforts as well. His latest authoring effort is a non-fiction book on making bent shaft laminated wood paddles, which you can find on Amazon or direct on his website. Sigil is officially dead and its developer, John Schember, has named Calibre as its spiritual successor. As Bonnie points out Sigil active development of new features seems to be kaput. Pretty clear cut that. If you base your use of tools on the requirement that they constantly have ongoing development then yes find something else. If Sigil has what you need and you are comfortable with it, as is, then I see no need to abandon something that is stable, fast and simple. What pains me the most is that this once again shows the difficulty of an open source business model. I’m not ready to change yet and I feel no pain with my current workflow. So I’ll stick with Sigil, but yes it is disturbing to see its demise. Unfortunately, validation only checks that all your code follows the rules of the epub standard. In other words, it’s just the first piece of the puzzle. Code that is perfectly correct can still be interpreted differently by different e-readers, as you’ve found. I think I’ve encountered your ADE problem before, if I may try a remote diagnosis – all the images are displaying as a zoomed-in piece of the image, rather than resizing to fit the screen? By default, ADE displays all images at their pixel dimensions; e.g., if an image is 1000px by 1000px in size, and the screen is only 500px across, ADE will just show half of the image. To get it to resize images to fit the screen, it’s necessary to insert a line in the CSS that specifies image dimensions in percentages (of the screen). So, if you make the image width 100%, it will never be wider than the screen, and the height will automatically adjust to complement the width. I have to back up JackLennon to some extent. ADE’s rendering engine is used by MANY other ereaders and ereading software, including the entire Nook and Sony families of ereaders (http://blogs.adobe.com/digitalpublishing/supported-devices). Not all the problems in ADE will necessarily show up in these other ereaders, but discounting ADE completely is not the best idea when it comes to epub QA. If using percentages fixes my problem with ADE, I’m happy. Thanks for bringing out this potential solution! I know Aldiko is a popular ereader. Not knowing how to get images to work with it is my frustration, not the ereder itself. It would be nice if the developers would consider writing something about potential image issues like you have pointed out. Happily!!!!! What CH suggests in her above comment does seem to work for fixing the cover image sizing problem I’ve been having with Aldiko. To be clear, I added a “style” attribute within the “image” tag I’m using for the cover image, the thumbnail of which is what appears on the Aldiko bookshelf. Within the style tag I added “width=100%; height=100%:”. I uploaded a fresh version via Dropbox and using the Dropbox client on my smartphone I then downloaded that epub file and opted to use Aldiko as the reader. The cover image now sizes correctly on Aldiko and still looks good within Moon+ and Kobo as well. So far so good. It is mentioned since it is using the same engine the vast majority of vendors and developers are actually using. In other words, if you are overlooking ADE, you’re putting yourself in big trouble. As for cool reader and Moon+, they may boast EPUB support but, according to specs, they are not technically EPUB-compliant and should be considered plagues (their incompetent developers don’t respect any standard ruling EPUB, including HTML and CSS). On the other hand, Aldiko or Mantano Reader are quite representative of the EPUB ecosystem as a whole. As a professional, I strongly recommend dropping Cool Reader, Moon+ and EpubReader extension in order to focus on ADE and iBooks (you can also test your file on an eReader and apps like Readmill, Aldiko or Google Play). It’s a little hard to swallow blustery declarations like this. Certainly your mileage may vary and there are many other workflows and tools that can be used to evaluate an epub file. There’s a kazillion different iterations of an epub file, each unique in their own way. I’ll concede that much. But I will stick to what I explicitly observed using an ipad and the Kindle previewer. Cool, Moon+ and Kobo, along with the Kindle previewer and the ipad, all behaved identically when I fed them a validated epub file. It was ADE and Aldiko that choked on that very same file. Let me count that up…that makes five different pieces of hard and software that worked as expected on a validated epub file. And two that did not. hmmmmm. I thought everything I used, treated text well in my evaluations, including ADE and Aldiko. To zero in on the heart of the matter, what I believe to be the issue is how the rendering engine that ADE (and therefore Aldiko) uses renders images and/or related CSS. I cannot find any guidance on image size for ADE. If Adobe would get an engineer to spend fifteen minutes on a quick blog entry somewhere, this could help who knows how many authors produce imagery that complies with the ADE rendering engine. Is this guidance anywhere? If so, I would love to see it and read it. Aldiko is a popular ereader in the smart phone world. I would love to see my validated epub file work on that platform with respect to images. Using only the Amazon previewer, you can see differences and problems. For example, the last entry on the TOC ending up at the top of page two. I solved that by eliminating white space up higher. Yet I was adding white space in the first place, to clean up the sort of centred arrowhead formation of my front matter. By clicking from one Kindle previewer to another, it’s easy to see that optimizing across a large number of devices is no easy task. This is a nice explanation that one can come back and refer to. I’m looking forward to checking this out. Many authors don’t bother doing quality control and they pay for it. How internal images are handled by the various readers and devices imo are especially worth checking. I discovered my issues with Aldiko and while I haven’t found the fix yet, at least I know about this in advance of any further releases that are aimed at readers on smart phones. Like EZ mentions in his comment, discovering that an embedded font is not honored by an ereader is good to know in advance, so you can change the font or concede that readers on that particular device will see your words in one of the onboard fonts. If you haven’t checked out the Kindle Previewer, I would recommend that in a big way. That was also a very good addition to my testing process. This seems like a good comprehensive process for testing EPUBs on various platforms. Thanks! As to the creation of the actual EPUB/Kindle versions of the ebook, however, converting from any word processor directly into EPUB, MOBI, etc. is problematic to say the least. Each complex format has its idiosyncrasies, including the under-the-hood format used by word processors. Converting from one complex format to another complex format creates a boatload of potential problems. A far more accurate method of converting your source to multiple ebook formats is to first create a simple, relative HTML version of the source. That way you convert from one simple format to each complex format individually, as opposed to compounding conversions. BTW – Smashwords, Amazon, Nook, etc. have built-in conversion tools in their programs, and they all are highly problematic as well. 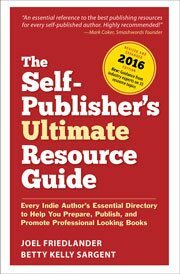 Avoid them when possible and upload the format used by the vendor (epub to Nook, mobi to amazon, etc.). This is great to know and it does make sense to check, but since the bulk of sales come through Amazon for the average author–as long as my Kindle books look good on different devices I can sleep at night. Usually if the formatting was kept as simple as possible, the other retailers will convert pretty well too. Wow. This looks complicated. I know it’s something that might be useful to me in the future, but so far I’ve just used Mac Pages and downloaded straight to CreateSpace (paperback) and KDP (Kindle). I honestly don’t know how many people have the time to continue to learn new programs and methods for improving ways to create. I work as a college instructor and I’m a single dad. I blog, write songs, poetry, and books. If I spend too much time on the blogging, social media and technical ends of things, I would never have time to create. My motto is to keep as simple as I can. It all started with reading that JF tBD article I mentioned at the beginning. Over a ~six month period I incrementally figured things out, the net result of which is this article. It seems complicated now with all the steps outlined and described, but it was always one simple little thing at a time. Every once in awhile I would find an article or another idea and that would lead to a breakthrough, but it never seemed complicated in the midst of that six month learning curve. Download one of the readers. The Cool+ reader has this parchment bkgrd that I really like. Moon+ is another really great one. Start there and see what a book looks like on your phone. looks like I better figure out this gravatar thing…. Although I have published six of my books on Amazon’s Kindle platform and on the iBook platform, I haven’t done the comprehensive testing that you have done. Just thought I would let everyone know that this problem can occur on the Kindle App for the iPad.